We were vacationing at Holden Beach NC Sitting on upper balcony listening to pod casts. We seen two commercial planes flying along coast. We used an app to determine this. My son said what it that. A third object came into view and passed the two commercial planes in sky. It then don a 180 Degree turn and slowed to almost a stop over the ocean. It still looked like a distant plane. Then it changed into a single amber light. It then changed into two amber lights. It then changed to three and back to one. It then just disappeared. Several people saw this but I’m only speaking for me and my son. While driving on Route 52 at roughly 50 MPH I noticed something that seemed to be floating above the roadway ahead. I couldn’t see it clearly because another car was tailgating very close but wouldn’t pass, which is a common occurrence on this road. I pulled off into the parking lot of the Greenfield Park post office to let the car go by. As I was turning the car back toward the roadway I thought I saw the object in the streetlights. With the car window open I asked, “Is that you little light?” The object seemed to move further up the road. I pulled back onto the road and pursued it. It stayed ahead but not that far ahead. It may have been 100′ to 300′ away and moving along with my car. It was hard to tell the scale of the object. It appeared to be a little more than two feet across, roughly the size of a streetlight but it’s hard to tell how large it is or exactly how far away. It looked like a metallic truncated cone shape with glowing blue lines running down its sides from the narrow end to the wider end. The metallic surfaces of the object reflected moonlight and streetlights near the firehouse and trailer sales office. Light began to come from the wider end, initially shining down on the road slightly off to the right of the lane I was in. 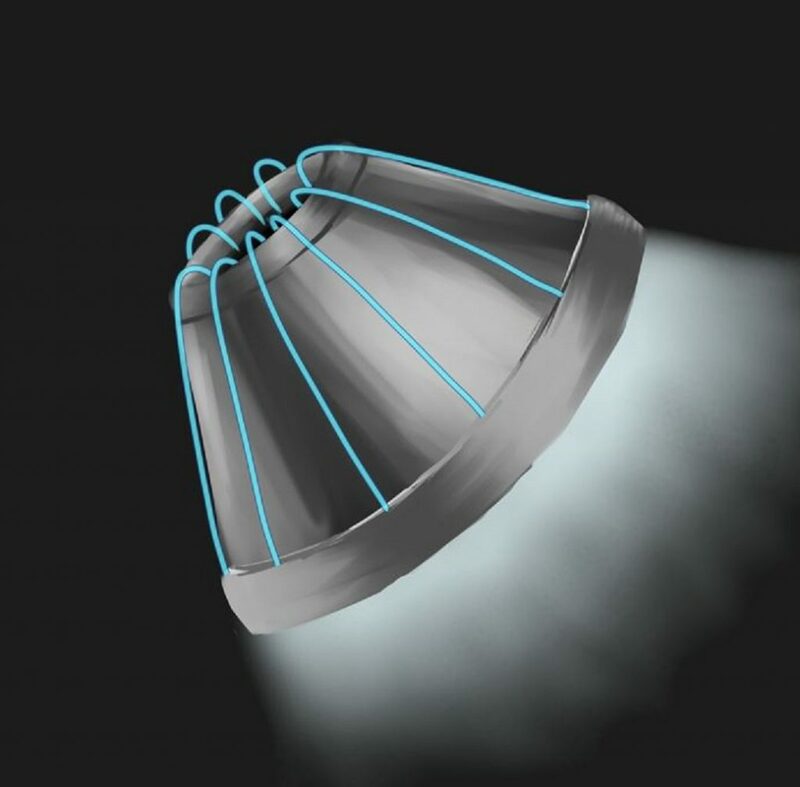 The light was spreading in a wide cone shape and was slightly bluish. Then it started to rotate. The light moved upward then around as it rotated. It shined at me and flashed five times in my direction as it rotated (not turning on and off). As it faced away I could see the ‘top’ or the side that the light wasn’t shining from. The center where the cone shape was truncated looked dark and the lines of blue light looked like ‘EL Wires’ radiating from it. They seemed to come out of the dark opening and go into a metallic-looking flange surrounding the wider end that was shining the light. When it had flashed at me five times it shut off its light and disappeared into the trees to the right of the road with only the ‘wires’ lit. During the sighting I could see the planets Venus and Mars (I think) with the moon between them off to the left so I definitely wasn’t seeing the planet. About the time it disappeared a floodlight at the yeshiva ahead on the same side of the road came into view briefly through the trees. NOTE: The above image is the witness rendering. In the early hours of the 2nd November 1968, Dr. X could hear the calls of his young son from his bedroom. He wasn’t upset, rather he was responding to something he could see or hear. Outside of the isolated villa in which they lived, a storm raged. Looking over at his wife and realizing she was fast asleep, he rose from the bed and steadily made his way to their son’s room. This task wasn’t at all easy, as the doctor was suffering from the effects of a leg injury. While chopping wood for the fires in the home, he had slipped with the ax and administered a particularly nasty wound on himself. When he had negotiated the corridor and entered his son’s bedroom, he found him standing in his cot pointing towards the window. Every now and then, bright flashes from outside would bathe the room in a temporary glow. He assumed they were lightning bolts, although they filled him with an anxious feeling. The doctor began to walk towards the young boy when he felt a “rumbling” over and around the house. He believed, at the time, that a huge gust of wind had simply unleashed itself over the property. He settled his son a little, and then placed him back inside his cot. Turning to leave the room, he began to wonder about the “lighting” and the gust of wind. He wasn’t sure why, but he felt the need to explore outside. Just to confirm in his own mind that what he had seen was merely the result of an electrical storm. He went to one of the windows at the front of the property and looked out into the night. He couldn’t quite believe what he was seeing. 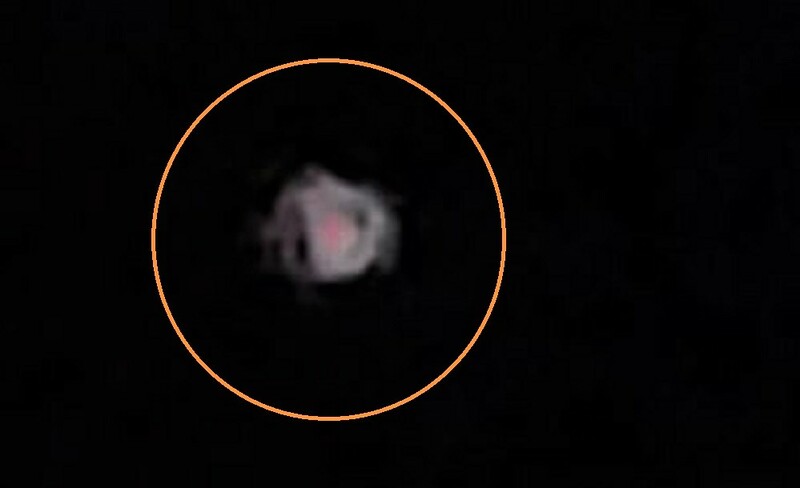 In the night sky, were two identical, glowing saucer-shaped objects. Each object looked to be made of two “superimposed” parts. The upper section glowed an intensely bright silver, while the bottom part was a “deep sunset red”. From underneath each object, a column of light periodically shone downwards. Not able to fully see the scene as it unfolded, the doctor grabbed his coat and notepad and made his way to the front door of the home. As he stood in the grounds of his property, he could clearly see a strange “lightning bolt” passing between the objects. Realizing this must be the source of the flashes, he remained where he was, attempting to sketch what he was seeing. 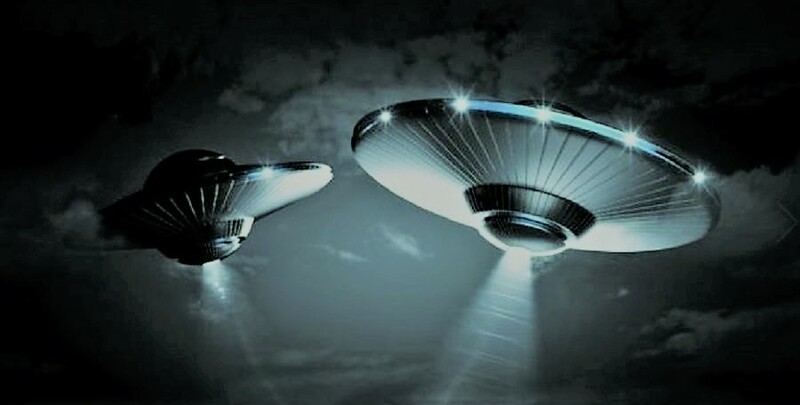 He would state later to investigators, “It seemed to me that the two objects were sucking in the atmospheric electricity and that I could see it entering through their antennae and then exploding between the two objects. The whole thing producing one single glow of light”. Strangely, despite the intense brightness of the flashes, they made no noise whatsoever. The objects themselves, however, would resonate with an electrically charged humming sound. Standing underneath this fascinating scene, the doctor began to scribble notes and sketches of anything he thought might be relevant. It is from his quick thinking to record the event that the incident is as rich in detail as it is. He was still scribbling away in his notepad when the two objects began to move and merge together as one. It was identical to the two objects in the sky a moment ago, only a lot closer, only yards from the property. As the doctor continued to look on in both awe and fear, he could see “something moving” in the bottom red section. A bright light also shone downwards again from the object’s underside. Suddenly, it moved towards him at speed, tilting slightly as it did so. Within seconds, it was directly overhead, its light fully enveloping him. Just as fear was about to explode inside him, the light was gone, as was the craft. The doctor would later claim to have heard a “bang” sound and felt that the craft had “dematerialized”. A small cloud of smoke-like fog was all that remained which itself disappeared soon after. A strange silver string appeared to hang in the air in front of him as if attached to an invisible balloon. It would then shoot directly upwards at speed. The doctor checked his watch seeing it was just after 4 am. He had been outside around ten minutes. He quickly gathered his thoughts and went inside to wake his wife. As he excitedly told her of his encounter, she would suddenly notice he was no longer limping. Amazed, the doctor examined his leg. It was as good as new. The deep cut – in which he had damaged a vein – was completely healed. Over the next few months, both he and his son would experience a strange triangular rash on their torsos. 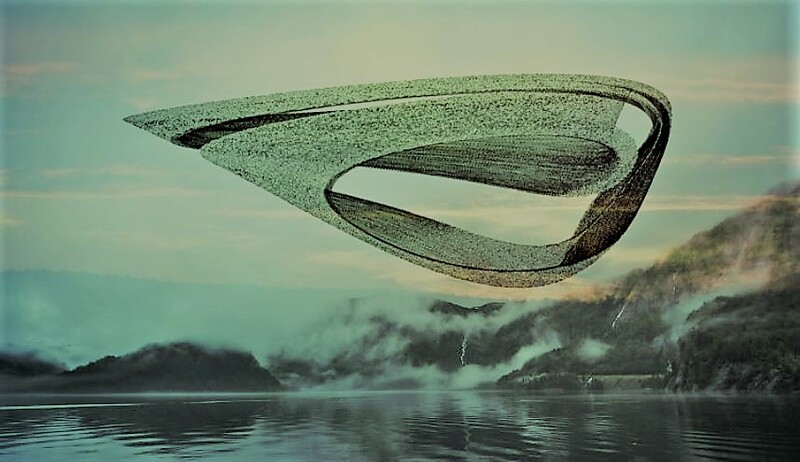 No explanation has ever surfaced for this, but it is not a stretch to think it is connected to each of their close proximities to the strange craft. NOTE: The above image is CGI. Filiberto Cardenas received a phone call while in his Miami gift shop on the early evening of 3rd January 1979. It was his friend Fernando Marti. He wished to come and pick Cardenas up so they could drive to a merchant butcher. The location was near the city limits and aside from the company, Fernando required his friend’s assistance to help transport a whole pig he wished to purchase for an upcoming family roast. Cardenas agreed, and by the time he locked his premises, his friend, along with his wife, Mirta, and their daughter, Isabel, arrived. They decided to take Filiberto’s car which Fernando would drive. The journey, however, would prove unsuccessful. The two farms they visited couldn’t supply them with what they wanted. Deciding to try one more place, Fernando turned the car onto a quiet, apparently little-used dirt road. Not long after, the vehicle’s power failed completely and came to a halt. The two men exited the car and began to investigate under the hood. It was as they carried out these elimination tests that they noticed a strange “humming sound”. When they realized a bright red and yellow glow was reflecting in the bodywork of the car’s engine they began to get an inkling that something was wrong. Suddenly, the car began to shake. Inside the vehicle, the remaining Marti family, believing an earthquake was happening, began to panic and scream. It was then that the two men under the car’s hood realized they were seemingly paralyzed. If not being able to move was terrifying (which it undoubtedly was) then when Filiberto began to feel himself rise in the air, that terror went into overdrive. According to Fernando, who could see his friend rising from the ground, Filiberto would shout, “Don’t take me! Don’t take me!” Then, everything stopped. The light was gone. The humming had ceased. And Filiberto was nowhere to be seen. Fernando looked upwards and would claim to see “a bulky object that ascended and then moved away”. He turned his attention to the car. His wife and daughter were now quiet. He screamed at them “They have taken Filiberto” while jumping into the driver’s seat and going to start the engine. It took several attempts but eventually, it sputtered into life. He backed out of the dirt road and made his way back to the highway. As he drove, he wrestled with the notion of calling the police. He feared they might not believe him. Furthermore, they might think he had kidnapped his friend, or worse. He ultimately decided he had to report it and would contact the police from a payphone at a service station. He would also contact Filiberto’s wife. The police, although they felt sure there was some confusion on Fernando’s part, nevertheless launched a search for the missing man. This would include requested assistance from the nearby Homestead Air Base. Fernando, meanwhile, after returning his wife and daughter home, began to doubt what he had seen. What if he was wrong and had left Filiberto – wherever he was – stranded on the outskirts of Miami. He would get back in his car and return to the location where his friend had disappeared. Although the exact date is not known, sometime “between January and Easter, 1917”, Anni Lattu (some sources spell her name as Enni) would disappear for several days. Anni lived in a small house in what is now the North Karelia region of Finland. The newspaper account claims her home was several miles away from the Church in the town of Kurkijoki. Local villagers, although thinking it strange that she had left without telling anyone in the village, assumed she had gone to visit her adult daughter. However, when she returned, she did so with a fantastic and mesmerizing tale of her adventures. One day while performing her usual duties a “large apparatus, like a big washing basin” descended from the sky near to her home. Incidentally, at the time in Finland, wash basins had the appearance similar to large soup plates. This strange object would land close to her house and after several moments a ladder emerged from the craft to the ground. Several small creatures made their way from the craft (she would later refer to these creatures as “little devils”) and approached her. She knew they wished her to go with them on board their ship. She didn’t wish to go, however. Despite her efforts to resist, the creatures would forcibly take her on board. Once inside the craft, which “shone inside” they “traveled very quickly” and “many wonders” were shown to her. She would also state that the craft was silent and “did not make any noise as in the train”. These details would prove to match the many details given by alien abductees decades later. This perhaps not only lends an authenticity to the encounter but suggests a continued and persistent presence on Earth by entities unknown. When we looked out the window that night, we saw a strange bright star floating slowly towards our building, growing larger as it drew nearer. After that, I went to bed. For about an hour, I tried to sleep and heard a low humming droning sound. When I couldn’t sleep, I got up and peered out my window. There were about another 6 (maybe more) little lights buzzing around the big glowing light like little fireflies. They moved very fast and erratically. Coming to the light, moving around it, and then racing away from it across the sky. A cluster of them came around the big light when the electric in the neighborhood died for a few seconds and when it came on again only the one light was left in the sky. (I took the photos with my iPhone so unfortunately the quality is low). 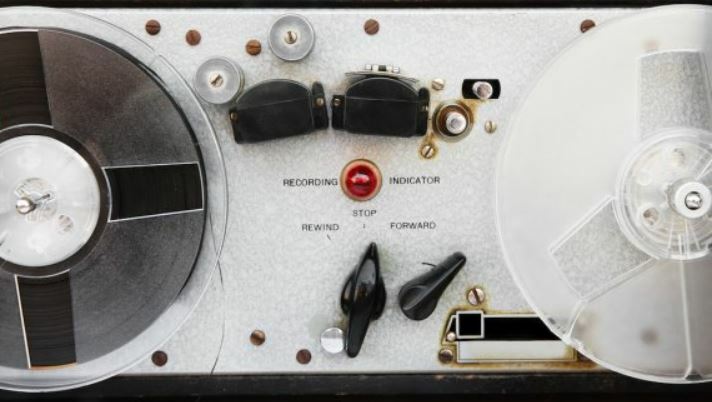 A few years ago, NASA destroyed hundreds of Apollo-era tapes found in the basement of a deceased Pennsylvania man’s home. Two massive computers were also found in the basement, though NASA claimed the serial number imprinted on them didn’t match anything in its records. In response to a FOIA request from Motherboard, NASA’s Office of Inspector General released a report detailing an investigation into a trove of data reels found in the basement of a former IBM engineer. The engineer, whose name was redacted in the report, had worked as a NASA contractor and was given permission to take the tapes, as well as two large computers, sometime between 1968-1972. According to his widow, the IBM Alleghany Center in Pittsburgh gave him permission to take the materials. The man’s widow expressly stated, “please tell NASA these items were not stolen.” Upon receiving custody of the tapes, a NASA inspector decided there was no use for them, as they were moderately to severely damaged by mold. The tapes, many of which were unlabeled, appeared to be from the Pioneer and Helios missions. The Pioneer missions sent probes to study Jupiter and Saturn, while Helios probes were sent to study the sun. The labelled reels accounted for just over 100 of the 325 tapes. After conferring with NASA’s archive department, the inspector deemed them historically insignificant and recommended they be destroyed. But the correspondence between the inspector and his NASA colleagues revealed some strange findings that were left unexplained. One discrepancy was found with a tape seeming to be labelled from the Pioneer 11 mission, which launched in 1973. However, the date on the tape was marked 1972. The computers found in the basement presented another enigma, as they were incredibly heavy and labelled with a contract serial number that NASA had no record of ever having. The numbers read, NAS5-2154 and NAS5-17620-5, initially bringing up a contract number for an HVAC system. 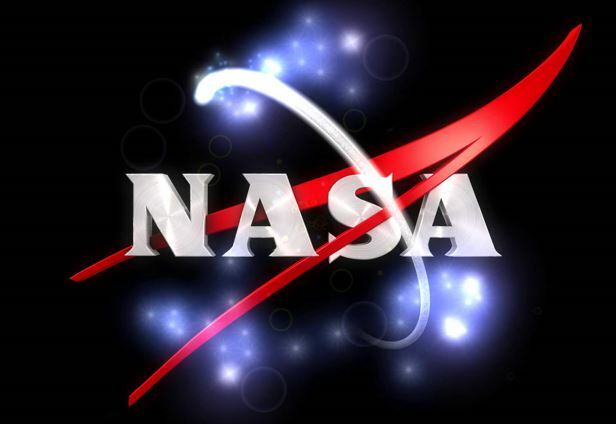 Even stranger, the contract duration for one of the computers found in the NASA archives was from 2003-2004 for a computer number inscription from 1962. NASA said it had no use for the computers and they could be used for scrap or disposed of by whatever means. The computers themselves were said to be extraordinarily heavy, likely requiring a crane to move them. Yet, somehow, they ended up in the basement of this man’s house. Though these tapes are unrelated to the Apollo missions, they are relevant when considering NASA’s archival preservation methods at the time. One would be remiss not to remember the degaussing, or erasing, of over 200,000 magnetic tapes, in which one with the original footage of the moon landing in 1969 was lost. Motherboard pointed out NASA’s abysmal archival process has been known and chastised by the government in the past. For the Pioneer 10 and 11 missions contained in this recent trove of basement tapes, only 30 to 59 percent of mission data was archived at the Goddard National Space Science Data Center. NASA considers this a “good” level of documentation. Motherboard confirmed that the tapes were disposed of and recycled by NASA. It will remain a mystery as to what exactly was contained on the tapes, though NASA employees say they were likely blank. It is surprising, however, that NASA would allow a private contractor to take home that many magnetic data reels when it was making such an effort to save money by erasing and recycling them, including the one containing the moon landing. Was this unnamed engineer who held onto the tapes for over 40 years really just a collector? KENS NOTE: Seems NASA is already trying to cover up the Apollo tapes. The misplaced, missing or destroyed tapes had all of the information that we did not go to the moon starting in 1969. Destroying the evidence is one way of covering up a lie. Manalapan — I have goose bumps and chills down my spine. I was visiting my parents around 9:50 pm on June 22, 2015. I was leaving and saw a bat or bird in the sky and looked closer to see this thing flying towards me. As it got closer it got larger and was massive about 300 feet wide and 400 feet long, extremely dark black triangular, shape that looked as if it was a shadow because it reflected no light. I could see the shape of this object so clearly. There were no lights anywhere on this triangle, like a bat mobile flying over my head. My dad was coming out and I kept yelling to him to look above over his head, this thing came up Madigan Lane from Pease Rd to (northeast) then hovered over my head for a few seconds then went southeast towards Longbow Drive. It moved so quickly and changed directions on a dime. I reported it to the Manalapan NJ Police Department and the cops think I’m crazy. They said “We cannot do anything about it”, REALLY! Something is flying over my head in our air space and you cannot do anything about it? NOTE: The above image is CGI. THANKS TO THE FILER FILES. On Thursday the 2nd of June 2016 I decided to go Dawlish Warren because I like the secluded beach and sand dunes with the marram grass. I walked across the beach before i headed over to the sand dunes with the grass. I sat down on a log that was in the long grass. I was facing Exmouth and I could see all the people on the beach soaking up the sun. It was a beautiful day and I could see for miles up the coast. There are some amazing views to be seen when you look over at Exmouth and Starcross. I had my new Nikon COOLPIX P900 camera with me. This camera has 83x optical zoom which is incredible. I started taking photographs of all the views and I was happy snapping away in the hot sun when all of a sudden I had the feeling of being watched. I stood up and turned around and at first I couldn’t see anyone. But the feeling of being watched was overwhelming so I looked through my camera viewfinder and started to look along the horizon. In the distance there was a slight hill with bushes and grass. This is in the direction of the nature reserve. It was in this area that I noticed what at first I thought were people. There were two of them and they were just standing there looking in my direction one of the beings was on the left and the other one was on the right. On closer inspection I could clearly see that they were dressed in tightly fitting one piece overalls that were silver and they were wearing helmets that had black visors. They looked just like space suits and the sun was reflecting off their surface. I could not believe what I was seeing. I quickly started taking photographs, with that the being on the right side begin backing off and I managed to capture this in the photographs that I took. I continued watching as the being on the left just stood still and was starring in my direction. After about 5 minutes of looking in each others direction the being turned and slowly walked off. I could no longer see the two beings as I looked up and down the horizon for them. A few minutes later I saw an object lift up from the area of the nature reserve and move from left to right and it then shot off into the far distance. The object appeared to be round and had what looked like blades coming out of each side. The object just hung there way off in the distance. As the object hung there in the distance it appeared to be changing shape. The object then moved off and out of sight. To my amazement there was a loud roar as a military Apache helicopter appeared from behind me. The Apache helicopter has rocket launchers and has a radar dome on the top above the rotors. The Apache helicopter circled around before moving off in the direction of the strange object that I had witnessed. As the military helicopter moved off into the distance I looked on with amazement. Wow. This was Incredible. Needless to say I had a great day at Dawlish Warren. NOTE: The above image is cgi. A few days ago, June 5th, I went out to my girlfriend’s fathers house for the evening. Whilst we were there, we made a point to attempt contact. Once again, we were successful. We witnessed quite a few this evening. 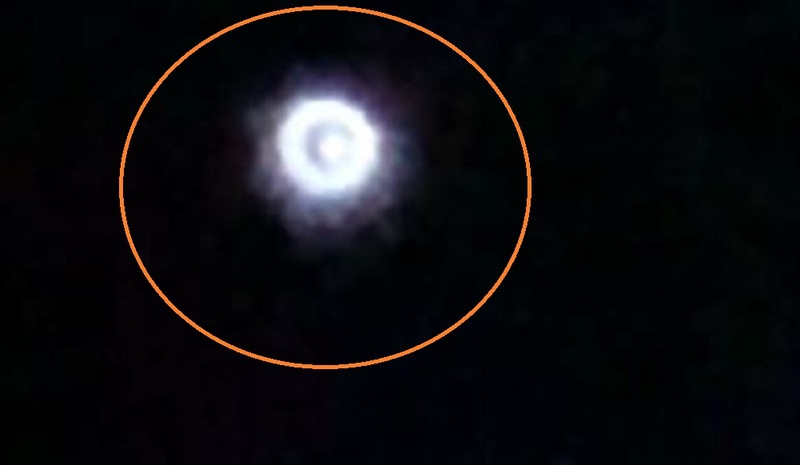 Though we lost count, we saw at least 6 orange or white orbs, at various distances. It was amazing. The next night, June 6th, we did the same thing. We were successful, however, this time I pulled out my new Samsung Galaxy S9+ and got a KILLER video.  Now, keep in mind that it was around 10pm, so unless you can do some contrast editing etc… it’s hard to make out anything but the UFO itself. I simply don’t have the software capabilities. I recorded this video in 1080p resolution @ 60 frames per second, so, the quality is top notch for a night shot. However, I have to figure out how to get the original, uncompressed video over to you. I’ll do what I can to send SOME version. If the video doesn’t send for whatever reason, please let me know. 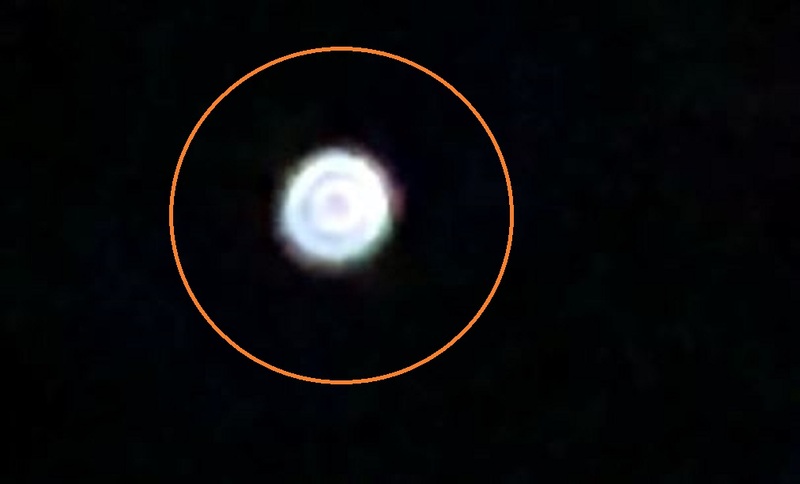 Also, this particular object was the closest one out of the two nights BY FAR. We estimated, with little debate, that it must have been within a mile from us. My girlfriend and I also, for the first time, experienced all the loud insects the vicinity QUIET DOWN, just as we noticed one of the craft. 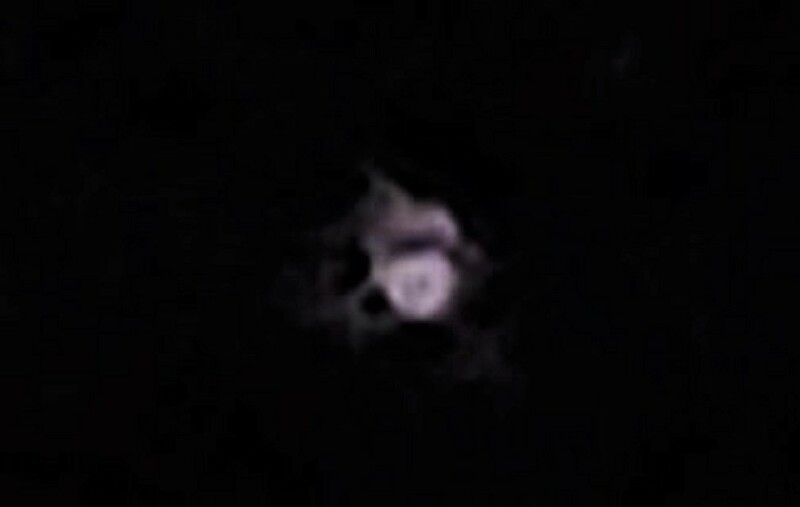 I’ll also include a couple screen shots I grabbed from the unedited video to further inspect the object, and they are INCREDIBLE. I promised that I would report anything I captured in the future so here it is. Keep in mind that, we SPECIFICALLY requested that the crafts come closer on this second evening. They obliged. I saw, through binoculars, an object in the sky that was bright white & looked like a ferris wheel. It was round & had spokes on it. It was brighter than any star & stationary in the southern sky. 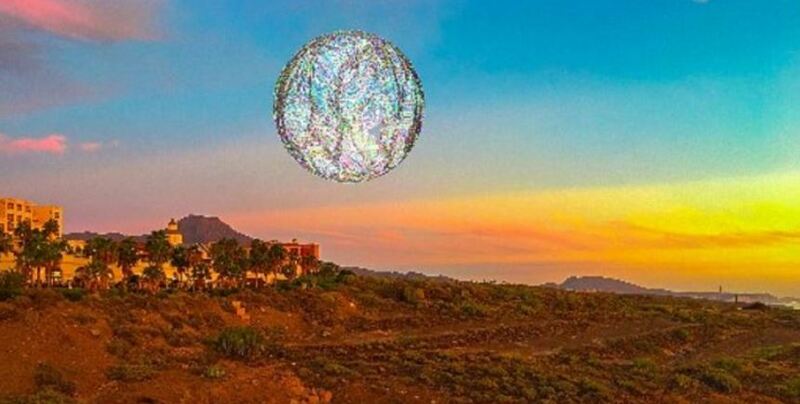 Then it would suddenly change form & become smaller pulsating lights of green, yellow, blue & red that would zip around erratically about the sky at impossible speeds, then it would return to appear as the original structure. 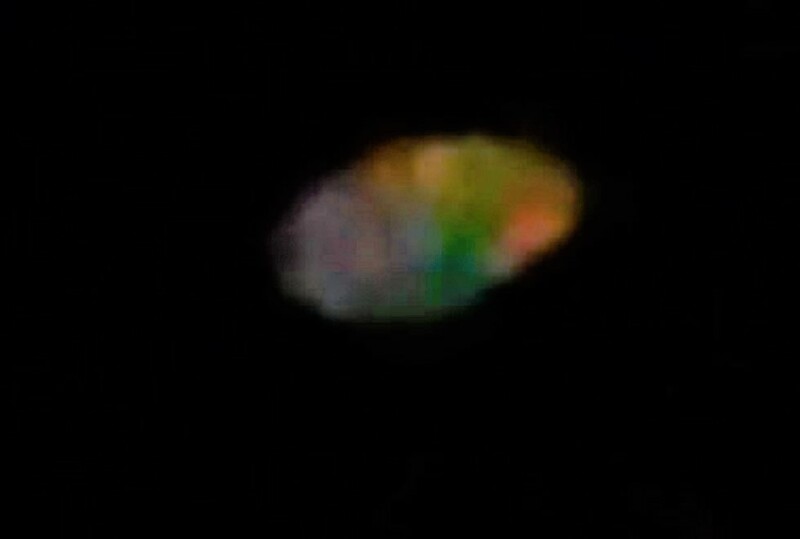 I counted at least 20 of these objects in the sky, but all of the others were further away & these objects were seen everywhere except for in the Western sky. Does anyone have any idea what these things are? These objects have been seen by many people other than myself. I am going to view them through my telescope tonight. NOTE: The above image is CGI. Was looking at a light as I got off I-65 south exited the x-way and started filming as soon as I could pull over . Shot on iPhone 5. Could not explain it and I work at airport. Only saw the pulsing orb at first then noticed the other two blinking in and out of visibility ,like they were checking the orb out . One was zippy fast , and other was a lenticular shape that was almost invisible. Camera picked it up better than the human eye . Two other object seemed to phase in and out . Once the orb started blinking when I asked it to creeped me out so I left . Farmington Hills — I was leaving the bowling alley with my husband on June 2, 2018. 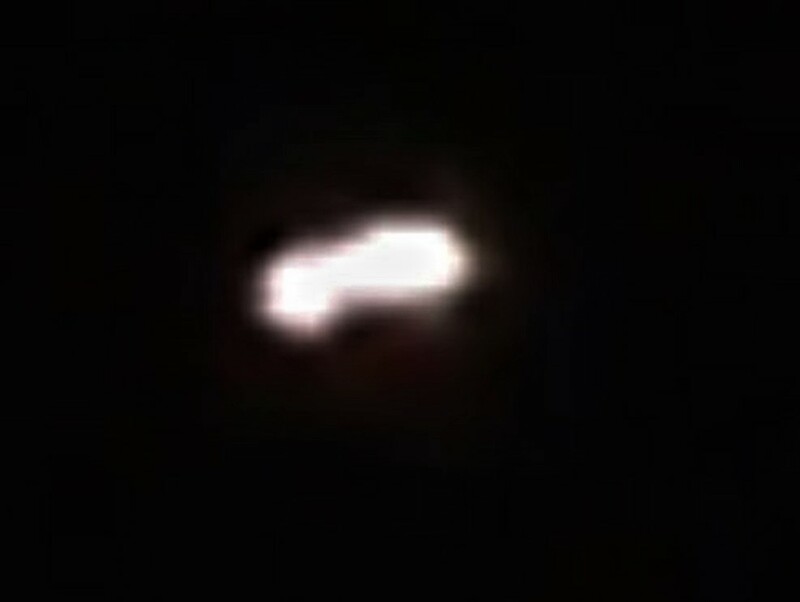 I observed an extremely large “V” shaped UFO traveling southwest at an alarming rate of speed. From my viewpoint and the altitude of the object, I estimate it to be 50-100 times larger than a modern sized airplane. The object had seven lights-three on each line of the “V” and one light where the lines intersect. The lights were white and dim and in sync. The object was moving at a rapid rate of speed (I only observed it for 8-10 seconds before I lost sight of it). The object was completely silent. I observed the underside of the object that was black except for the seven lights. NOTE: The above image is CGI. I have to be to work at 5:15am so i take my dog out to use the bathroom every morning at 4:15am. It is still dark when this occurs. I live on a street with around 15 townhouses in a college town. So the area is not rural but has plenty of houses nearby. I walked out the front door to take my dog out and I got an odd feeling like something wasn’t right as I got halfway down my driveway. 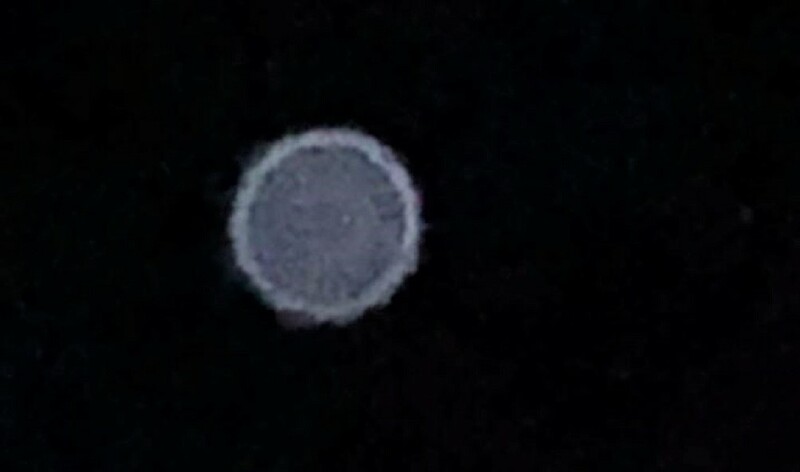 I looked around and quickly noticed 3 basketball sized spheres that were in between the house directly in front of me and the house to their right. (My left) they seemed to be almost touching but looked like clouds. 2 were on the bottom and 1 was on top like a little pyramid. Now I wasn’t freaked out yet at this point as I just stood there staring at it and wondering what I was looking at. After noticing no clouds in the sky on this morning and that these things were only 15 feet or so off the ground I reached for my phone to snap some pictures of them. As I was going through my phone to access the camera I was startled. 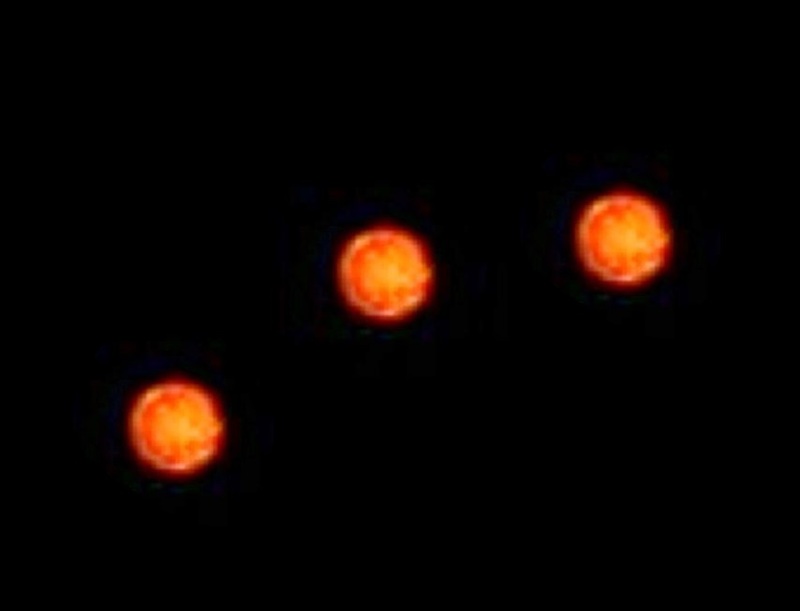 As if someone flipped on a lightswitch these 4 lights just came on above my neighbors house. (Directly across the street) They were the corners of a black flat diamond shaped ufo. I was so scared I ran back to my front door frantically trying to get inside. I was the only person outside on my street this early and I felt like this thing had made itself aware because of me. I got inside and slammed the door shut. I ran over to the kitchen window and looked at it for about 10 seconds and then called my girlfriend in a panic. After a 5 minute conversation about it with her I looked back out the window but the diamond could no longer be seen. Only the spheres in between the houses. 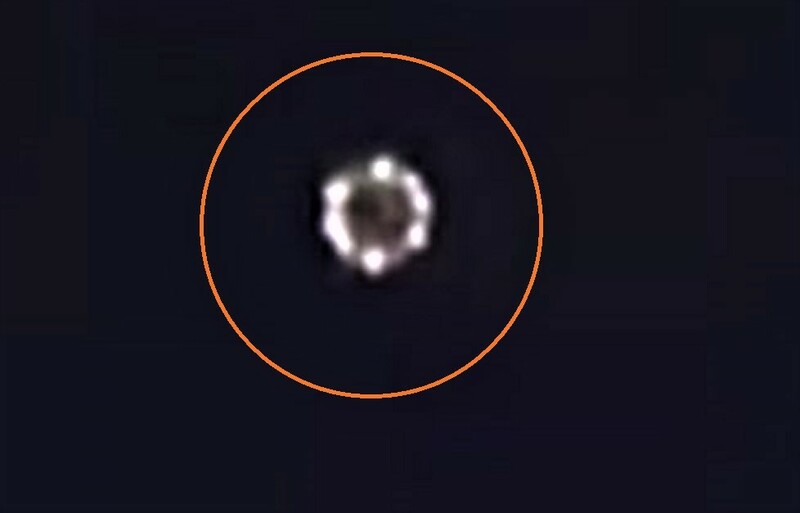 But I knew that the diamond was still there and I knew that those spheres were related to the ufo. I was so scared that I never once thought about taking a picture of the ordeal. I was late to work that day because I sat their staring out the window at those spheres for 45 minutes knowing that the ufo was still nearby. Right when it started getting light I had walked away from my window for a minute or so and walked back and could not see anything there any longer. I waited maybe 10 more minutes and then ran to my car and hurried out of my driveway to work. 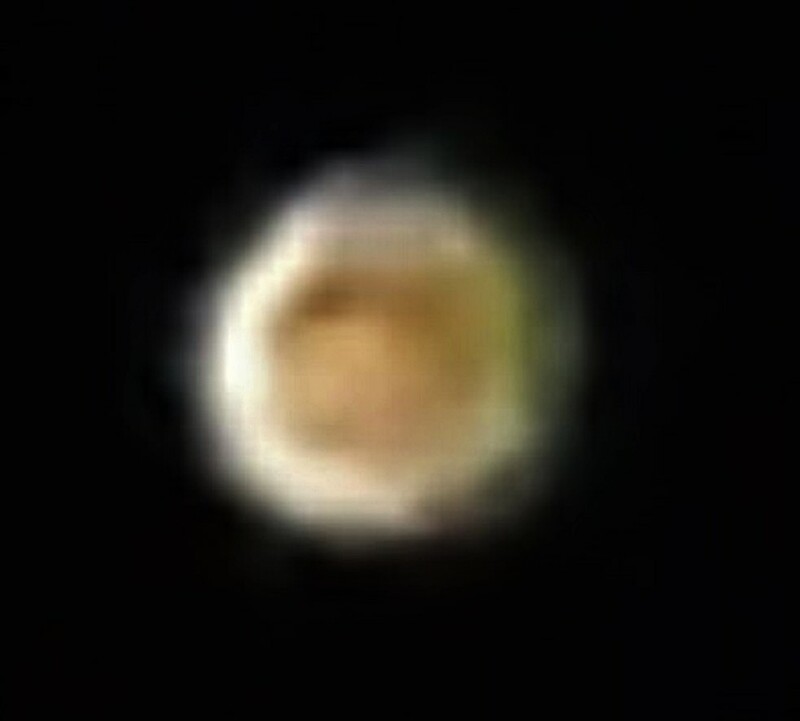 To this day I do not know exactly what it was or what it was doing above my neighbors house but I am sure of what I saw and have nothing to gain by sharing my story. I do regret not taking a picture or video now but I only saw the ufo for about 2 minutes total. I just knew that it was using some sort of camoflouge but had not left yet because of the spheres that appeared to be related to it. They never moved and remained there for about an hour. NOTE: The above image is CGI. 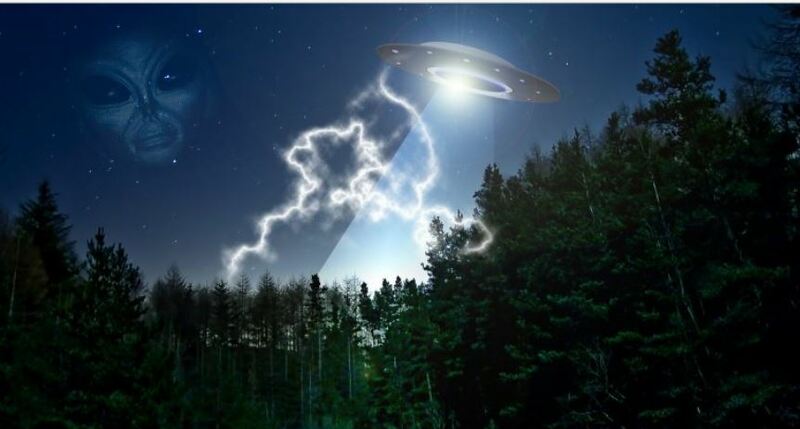 The alleged encounter over the waters of Lintel Lake in Germany in the summer of 1981 is not only one of alien abduction but one that left the witness with a previously unknown talent. Such talent, in fact, that he would go on to make quite a name for himself in his field. Perhaps that then is the reason for his desired anonymity. In fact, this detail of such sudden talent makes the encounter rather unique. Between 5 and 6 am in mid-August 1981, on the banks of Lintel Lake, near Rheda-Wiedenbruck, Germany, a cosmic encounter was about to unfold in the otherwise serene surroundings. The main witness, labeled rather unimaginatively “Mr. X” in the report due to his request for anonymity, would often ride his bike to the lake from the city where he lived and then stroll around the water, enjoying the serenity it offered and the nature on display. On this morning, however, that serenity, at least visually, was about to be interrupted by the appearance of a “gigantic object” which suddenly appeared and was now hovering silently over the water. There were no visible windows of any kind and the object “resembled a plate turned upside down!” The only other person nearby that morning was a fisherman on the other side of the water. Mr. X had noticed him moments earlier as he began his stroll. He turned his attention in his direction, wondering if he too could see the monstrous airborne craft in front of them. However, upon located him, he could see the man was being taken somewhere by three “men in sparkling suits”. Telling himself that the men were likely from the Ecological Guard, Mr. X continued forward towards the craft’s location. As he did so, the craft began to descend to a grassy area of the water’s edge. Despite the uneven ground, it appeared to stand perfectly straight. 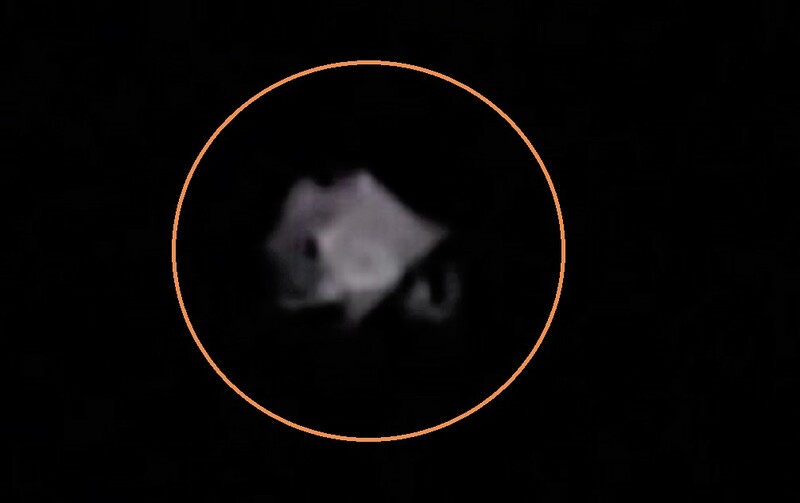 Then, he could clearly see an elderly lady emerge from the craft with a dog, which appeared to walk underneath it suggesting it was hovering over the ground. Becoming increasingly confused, and in an effort to make sense of the bizarre circumstances he suddenly found himself in, he told himself this craft must be a “state-of-the-art” transport system. Perhaps one that the German authorities was still testing. So much so that he began to fumble around in his pockets for Marks in case there was a charge for getting on board. He could see an oval entrance with a platform stretched out in front of it. Mr. X stepped forward and onto the extended walkway. As he did so he suddenly heard the ringing of the bell on his bike he had left on the grass. As he turned around, one of the men in the sparkling suits was examining it. From this distance, they looked “semi-transparent”. Enthralled with the figure in front of him, he suddenly felt a sense of vertigo and the smell of “burning rubber” filled his nose. He could sense more of the brightly glowing men around him. At that point, he must have lost consciousness. The next thing he realized he was “on an invisible bench” and all around him were “humanoid creatures”. He was the subject of some kind of examination. One of the humanoids was staring at him throughout the procedure – something which made him feel particularly uncomfortable. When he turned to his right, he was shocked to see the fishermen from earlier. A quick scan of the room would reveal a “cut off head of a cow!” It had one of its eyes removed and one of the horns had been cut clean off. Its jaws also featured chains attached to it. In his head, he could hear orders from the humanoid. However, his thoughts were confused, and he struggled to make sense of what he was being told. His body had a “light” feeling to it as if he was “devoid of some internal organs”. Without fully realizing how he had got there, he would suddenly find himself in a “blue, misty” room. There were more humanoids present in this dark, unsettling enclosure. They all wore “suits” and would conduct further examinations of him. All the while, they would act as if he wasn’t there, such was the lack of emotion on their faces. My 7 years old son was sleeping with me in our guest bedroom which faces the front of our house. I was dreaming that my son was playing rough with a friend with toy swords and sticks, so I removed a sword from my son’s hand and woke up with him sitting up on the bed next to me screaming noooo. His hands were up in the air exactly like the dream I was having. He was sitting up on the bed and very agitated, so I hugged him and lowered him to his pillow and soothed him back to sleep. As I lay him down I was thinking how weird and crazy this was., since it looked as if we were both having the same dream. That is when I saw these weird lights in the sky. I looked at them for several minutes, pinching myself, rubbing my eyes, questioning my sanity, but no matter what I did the lights were still there. 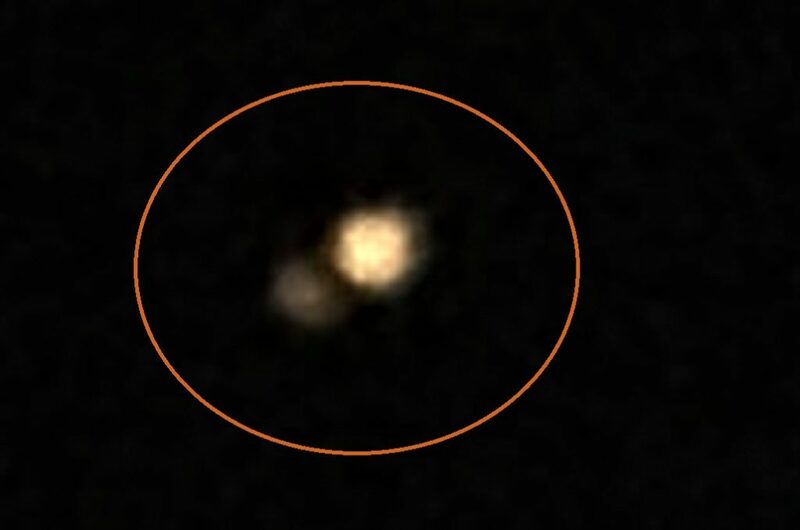 They were far but I could clearly see 3 circles that were together making a triangle. 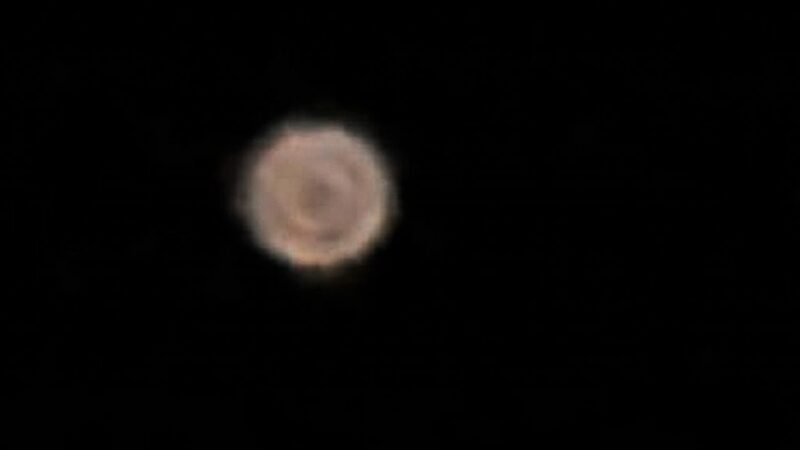 I think there were a couple of other tiny lights spots in the sky as well, but my focus was on the 3 circles because it was zigzagging up and down and I could not think of what that could be. 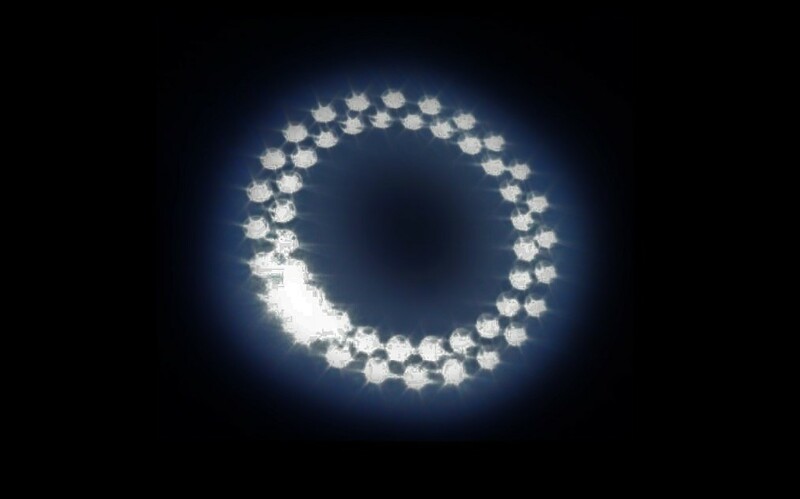 The circles rotated, but the object zig zagged. I moved my head in all directions and the light was still there. It was moving but not going away. 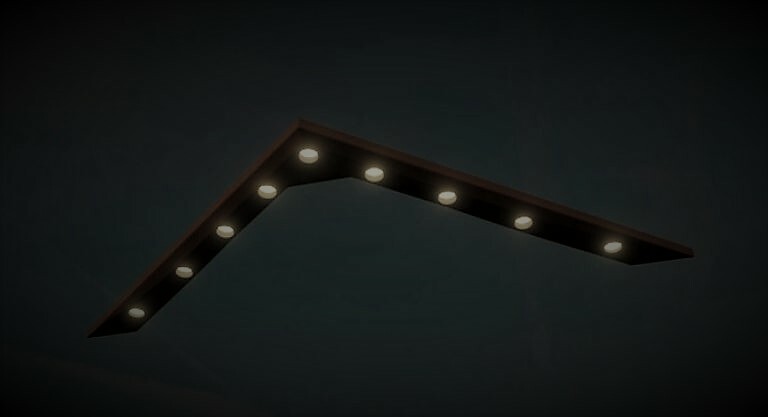 I finally told myself that it must be an UFO, which I don’t know anything about, and went back to bed saying: “there is something out there, but I am not scared and if they want to contact me, they know how, and I was thinking …dreams” I know what I saw and I am just curious if anyone else reported lights like that around here last night. I am also super curious about my dream and my son’s response. I have a lot of weird vivid dreams, but last night I was having what I would call a regular dream until my son’s reaction. 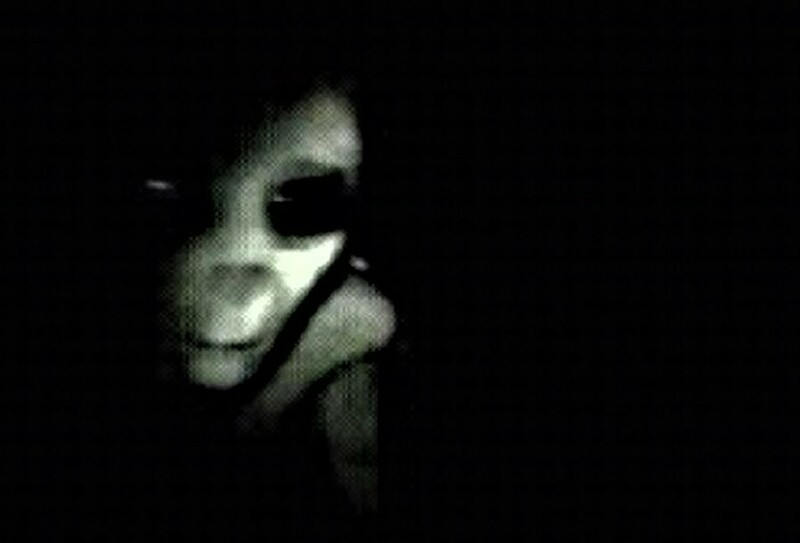 Before getting pregnant of my son, I dreamed that I was visited by an extraterrestrial being and one touched my forehead with his pointing finger, which lighted up and made my forehead warm and bright. He was tall and greyish. I woke up and could feel the heat on my forehead for a few seconds. I thought the dreamed was so realistic that it changed my temperature but I did not have a fever nor was sick…anyway I can go on about crazy dreams but I know this should be about the lights I saw and not the dreams I have. NOTE: The above image is CGI. Jan Harzan, executive director of the Mutual UFO Network (MUFON), says UFOs HAVE been recovered and ARE being stored nearby. Mr Harzan claims there is a secret underground facility built into the base of the Papoose Mountains, in Lincoln County, Nevada, where recovered alien space crafts and extra terrestrial beings are kept hidden away. 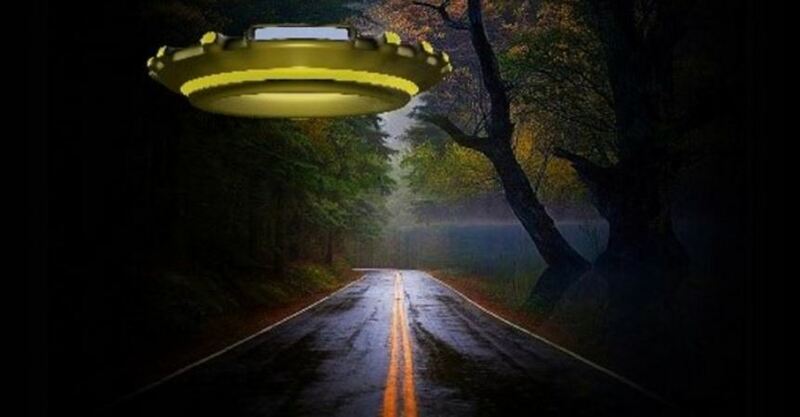 Ever since the legendary Roswell UFO crash of July 1947 alien conspiracy theorists have claimed the remains of a flying saucer, and even dead aliens, were secretly taken into storage – something the US Government denies. Roswell has been at the heart of the UFO scene since July 1947 when the military sensationally announced in a press release it had found the remains of a crashed flying saucer in the desert nearby. But the following day it retracted the statement, saying it was in fact a damaged US Air Force air balloon. Witnesses later came forward to say there had been alien bodies within the “crashed craft”, which along with the wreckage were then taken away. There has been speculation the remains were taken to Area 51 in the Nevada desert, or the Wright Patterson Airforce base near Dayton, Ohio. 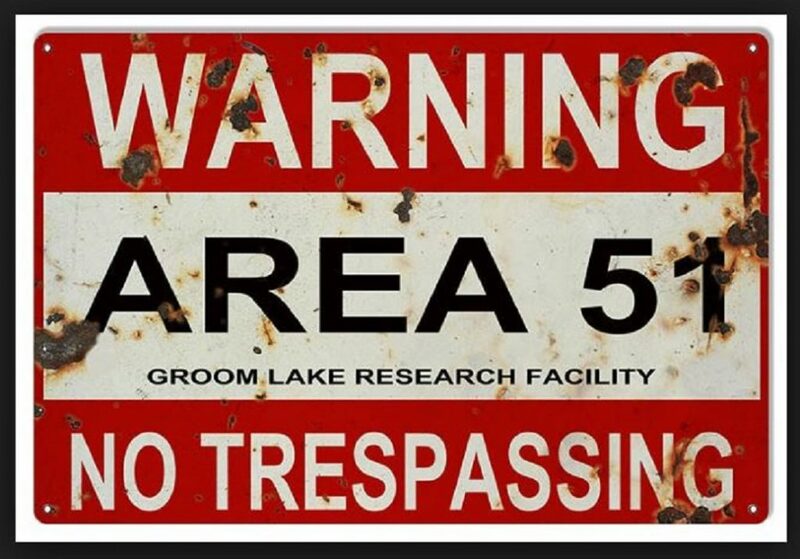 Last summer Express.co.uk revealed the claims of Andre Milne, founder of defence technology firm Unicorn Aerospace, that Area 51 did not house aliens, but was used for so-called “black projects” to develop new secret flying technology. US-based MUFON is the world’s biggest organisation dedicated to UFO and alien research and keeps a global database holding tens of thousands of reported sightings and tip offs. Mr Harzan appears to agree with Mr Milne about Area 51, but said alien technology was stored elsewhere. He said: “Area 51 is a top-secret airbase for the CIA and military to test super-secret aircraft years ahead of what the general public is aware of. “As best we know, there are no UFOs or aliens at Area 51. “There is, however, an area just to the south and on the same Tonopah Test Range called S4. “Based on insider information, this is where work on extraterrestrial recovered craft takes place. “Those of extraterrestrial origin are very smooth and integrated with no seams or rivets showing, and no protrusions. “At least that’s our hypothesis based on what we are seeing.” He is also convinced that by now the US authorities would have been able to recreate a recovered UFO.